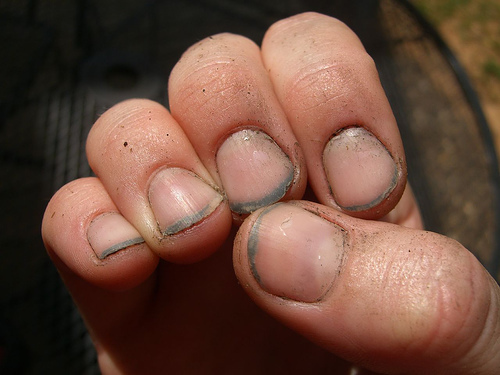 Pet Peeves: Pet Peeve #40: Dirty Finger Nails! OMG! Dirty finger nails are not only a distraction, but they genuinely make me wonder about a person. I understand if you do dirty work or have one of those jobs that appear on Dirty Jobs; however, that is not always the case with most people. An auto mechanic would have the worst hands, but even they use gloves. I seriously want people to stop walking around as if they have been playing in mud all day. You are grown! Personal hygiene is extremely vital to me; therefore, I keep my nails short to prevent dirty nails. Please keep your nails clean and STOP living foul. STOP IT! UGH!